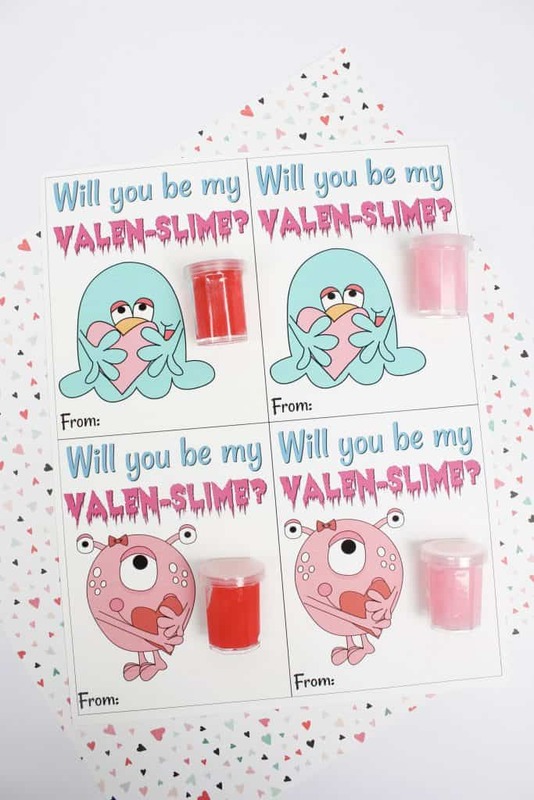 Seriously, how cute is this Valentine Slime Printable Card? This Valentine Slime Card has fun bright colors and perfect for your son or your daughter. Just print up this free printable by clicking on the photo below. You will get 4 to a page so make sure and print up as many Valentine Cards as you need for your classroom. 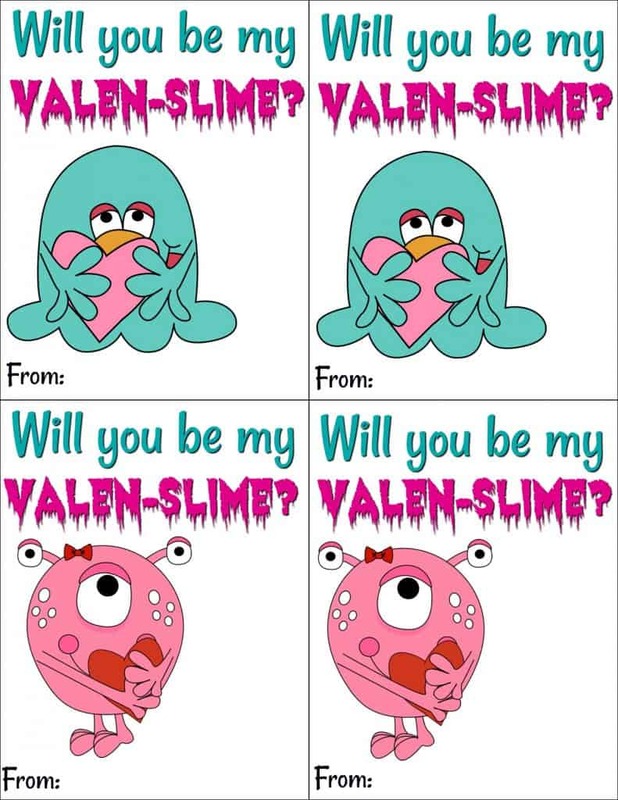 I recommend printing on white cardstock because it needs to be sturdy enough to hold the Valen-Slime. Need the perfect slime recipe? Check out our SLIME RECIPES! 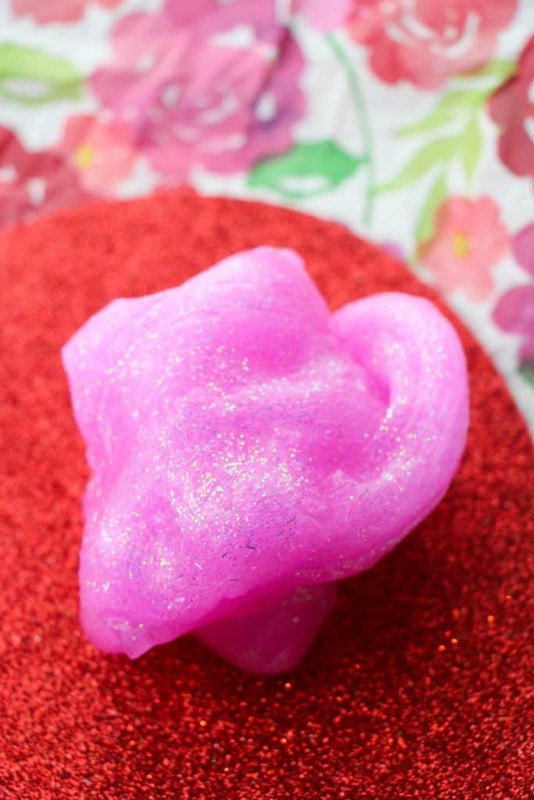 Perfect Valentine’s Day Glitter Slime for adding to a Kids Valentine’s Card.